I ate a good amount of Southeast Asian food growing up, mostly because my mother was from the region. So needless to say, I’m familiar enough with the food and culture. My boyfriend on the other hand, who is a good Italian boy from Long Island, thinks Asian food equals Chinese takeout. And it’s really not his fault. So I made it a mission to show him otherwise. And also to show him that his version of “spicy food” is absolutely nothing in comparison to that of Asian food. 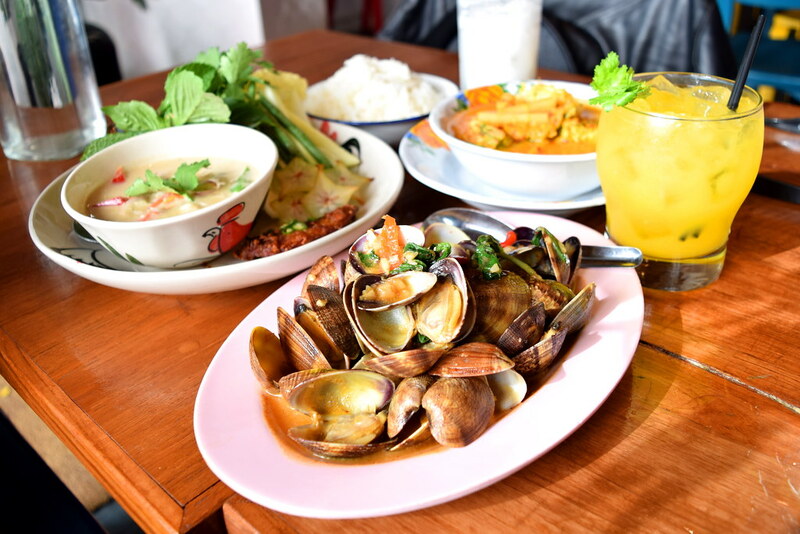 Fish Cheeks is a seafood-focused Thai restaurant located in the Lower East Side of Manhattan. Can I just say how amazing it is that there is a restaurant named after one of the tastiest part of the fish – their cheeks? See, I’m not the only one who thinks so! 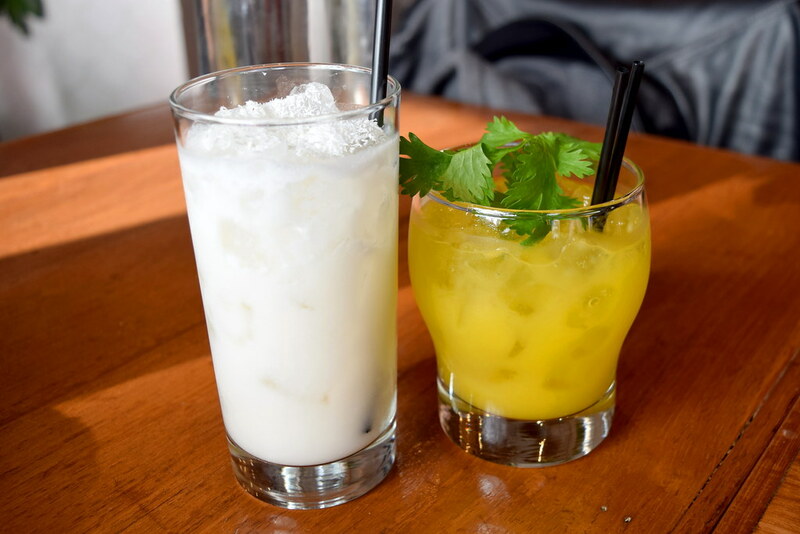 We started off with some Thai-inspired cocktails. I honesty forgot which ones we ordered, but I can tell you that the yellow one definitely had a kick to it. Now my boyfriend, who isn’t yet used to Asian flavors and spices, but absolutely LOVES spicy food, assured me he could handle any spice level I threw at him. This cocktail was no issue for him. But in the back of my head I knew he had no idea what was coming up for him later. First up we ordered the Manila Clams with Sweet Basil. 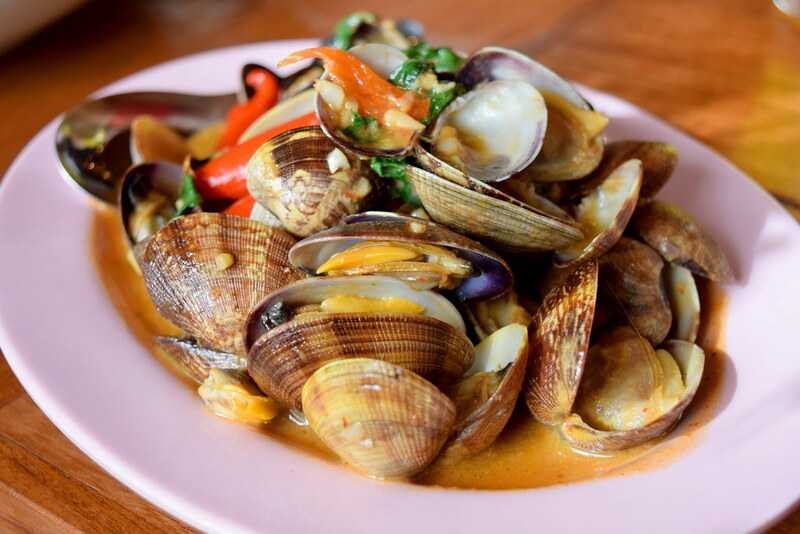 The clams were stir-fried with scallion, roasted chili paste, sweet basil, and garlic. The broth was soothingly tasteful, and the clams cooked perfectly. Then we had the She-Crab Lon, which was crab meat and crab roe in a coconut cream sauce with shallots and green mango. It was served with a piece of cured fish and a side of fresh vegetables. 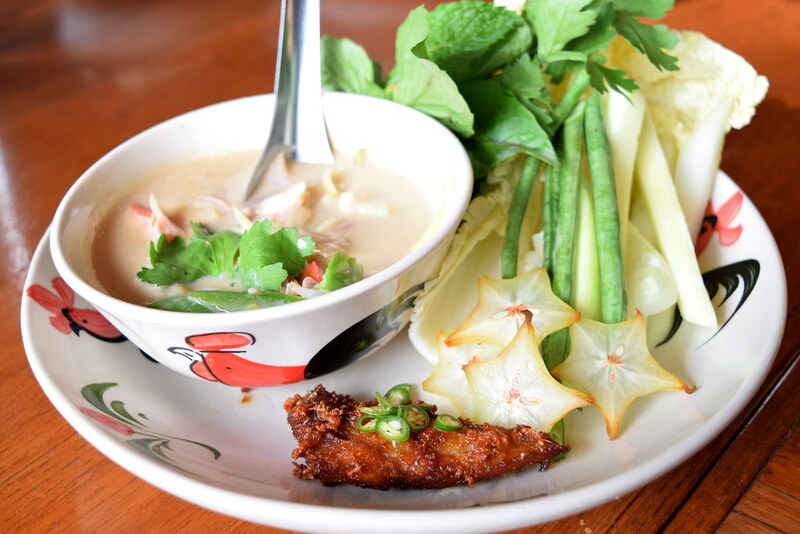 The way it was presented reminded me of the dishes and plating from my recent trip to Burma. 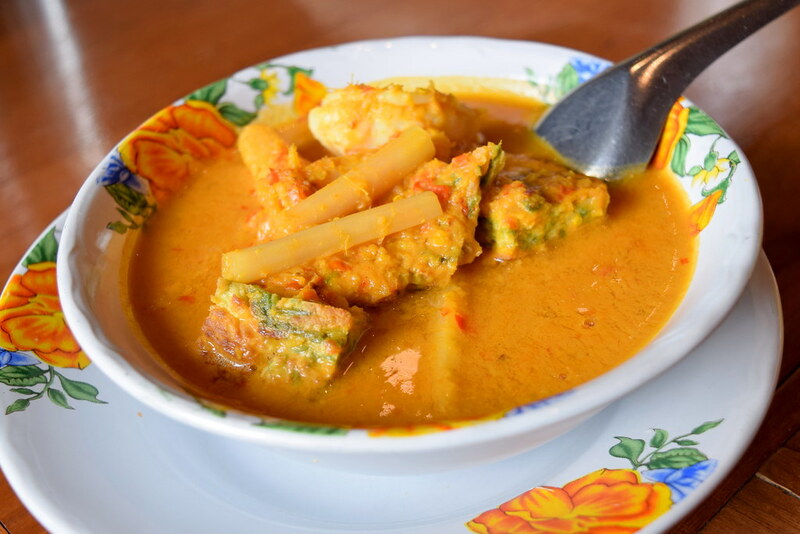 Lastly was the Orange Sour Curry with Cha Om Kai. This was the ONLY dish with 4 spicy chili symbols next to its name… Like, there aren’t even any dishes on the menu with 3 spicy chili symbols. It went from 2 chilis like kinda spicy, alllll the way to 4. The server even came to us to make sure we knew what we were ordering. I assured them that my spicy-loving boyfriend and myself (tolerable to most spiciness) would be okay with it. Yeah, so we were profusely sweating while eating this dish. It was SPICY! Don’t get me wrong – the flavors were so intricate sometimes you didn’t even notice you were one spoonfull away from a firery death. Every individual flavor was present – from the hand crushed curry pasta, shrimp, acacia omelette, and lotus stem. But, alas, we could not finish this dish. We did make it about three-quarters in and had to leave the remaining soup portion. We tried, but we also knew we didn’t want to die. Beautiful place nonetheless! Would love to stop by again and try more 2 spicy chili symbol dishes. Instagram made me do it. Follow me for strange recipe concoctions, trendy and unheard-of restaurants, and the ever so hashtagged #wanderlust travel trips. More to come..